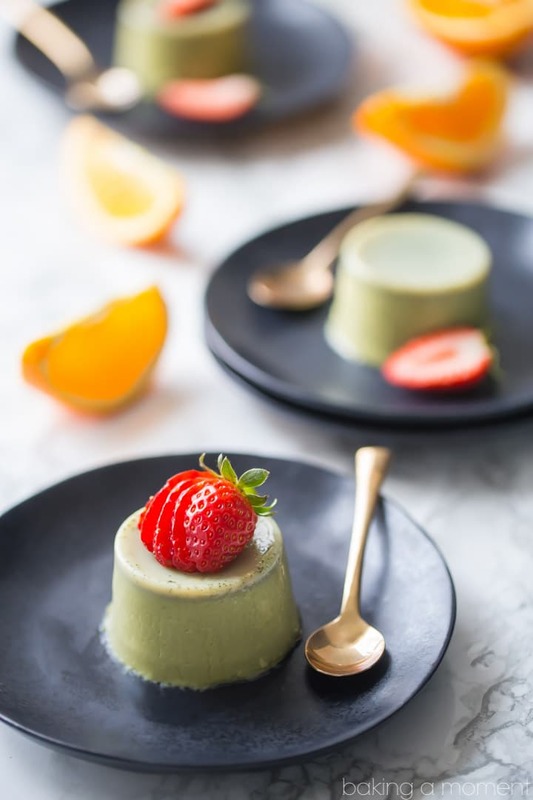 Celebrate the Lunar New Year with this delicious matcha green tea panna cotta! You’ll love the earthy, grassy sweet flavor and it’s so simple to make! Wow, it feels like ages since I’ve done this! Can you believe it’s been nearly 4 weeks since I’ve posted a new recipe? I know I’ve been pretty quiet lately, but behind the scenes I’ve been busy preparing lots of awesome things to come. But I just could not let the lunar new year pass without a respectful (and delicious) nod to the holiday! When I think of Asian desserts, the first thing that comes to mind is green tea ice cream. When I’m at an Asian restaurant, it’s my favorite way to finish a fabulous meal. But today, I wanted to share something that requires a lot less prep work. 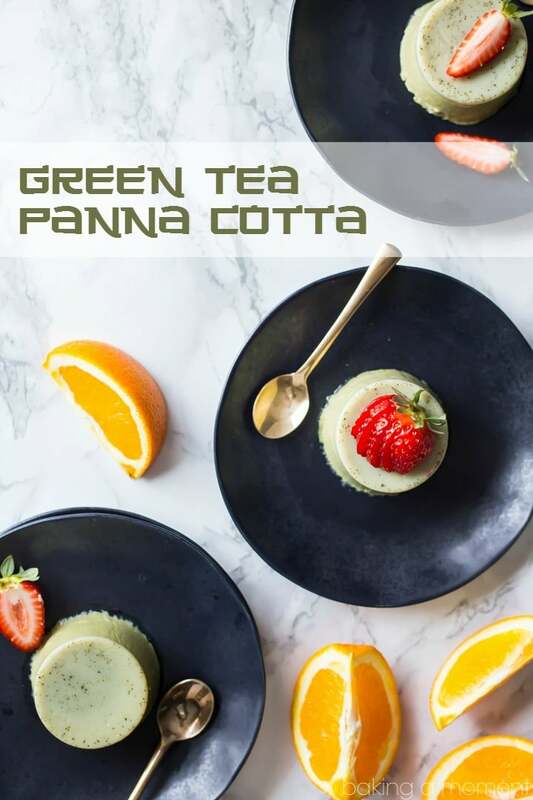 Panna cotta is about the easiest dessert you can make, and this matcha green tea version will knock your socks off! I pick up a little pouch of matcha at my local coffee shop. They weigh it out, and I pay per ounce. It’s usually only a few dollars, and a little goes a long way. It’s just green tea leaves that have been ground to a fine powder. The taste is unmistakably “tea,” with a hint of grassy-ness and a pleasantly bitter edge. Panna cotta is pretty simple, even though the name sounds kind of foreign and fancy. Think of your favorite jell-o, only creamy. It’s jiggly and wiggly, but it melts in your mouth and has a milky, sweet, and rich texture that just can’t be beat. Green tea is the perfect earthy flavor to pair with a smooth, creamy panna cotta. It’s like a matcha latte, in dessert form! All you have to do is add a little plain gelatin to your milk/cream mixture, then sweeten and stir in some matcha. Warm it on the stove until everything dissolves, and then portion it out into molds. I have used 4-ounce mini-mason jars as molds. 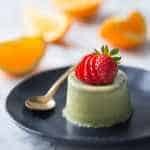 After the green tea panna cotta has set in the fridge, you can either turn them out of the molds onto a plate, or just spoon it right from the jar. It’s a great way to celebrate the new year, plus it’s no-bake and gluten-free! Hope you enjoy! Love cool, creamy, spoonable desserts? Make sure you’re following my “Ice Creams, Mousses, Custards & Puddings” board on Pinterest! 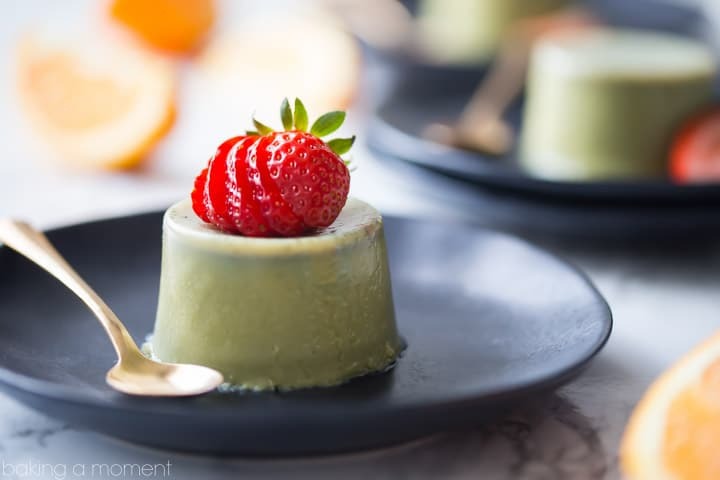 Celebrate the Lunar New Year with this delicious matcha green tea panna cotta! You'll love the earthy, grassy sweet flavor and it's so simple to make! Mist four 4-ounce ramekins, molds, or mason jars with non-stick spray. Place the milk and cream in a large liquid measuring cup, and sprinkle the gelatin powder over the surface in an even layer. Set aside for 5 minutes, or until the gelatin has softened. In a small pot, whisk the sugar and matcha powder together. Slowly pour in the milk/cream mixture, while whisking. Place the pot over medium heat, whisking occasionally, until just barely simmering. Turn the heat down to low and continue to cook, whisking occasionally, for 5 to 10 minutes, or until the matcha and gelatin are completely dissolved. Pour the liquid into the prepared molds, and refrigerate for two hours or until set. Panna cotta can be served in the vessels, or unmolded. « Previous PostGiveaway! Just because. Happy New Year, Allie! Oooh, I like panna cotta. This one has a very interesting flavor 🙂 Will try it once I find loose matcha tea around here. . Looking forward to your sweet creations! So glad you like it Julia! Thanks so much for the nice feedback! What a fabulous treat!! So beautiful! I can’t wait to try it! Thank you so much Beth! I hope you love it! What an elegant and lovely dessert. Thank you for sharing! It’s very hard to follow a recipe when people use “one packet” or “one scoop”. We do not all use the same products. How many grams in one packet of gelatin? 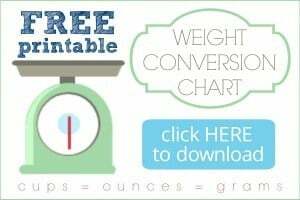 Monika- if you click through the link provided at the bottom of the post, you will see that 1 packet = 1/4 ounce. I LOVE how panna cotta sounds fancy, but is really so easy! And like adult jello!! Haha. What a gorgeous version – the flavor sounds so lovely. I am definitely a green tea fan, so I know this will be a dessert that I’ll want to try! I’m so happy you like it Sarah! I do hope you get a chance to try it- if you like green tea then I bet you’d really enjoy it. Thanks for the sweet comment! Hi Allie! I LOVE this recipe! We absolutely love cooking and baking with matcha (while also drinking a matcha latte on the side – haha we’re a little obsessed! )… What a great idea to make a matcha panna cotta! Thanks for the wonderful idea! I’m so happy you like it Alix! Thanks for the great feedback! Wow thank you so much Severina! I’m so happy you like it. wanna try making a coffee panna cotta, can i make this a week ahead of time? You might be able to get away with it, as long as you cover it really well. I would suggest no more than 2 days just because it can get a little dried out over time, but if you’re really careful to cover it tightly it might be ok. Good luck!